Things get exciting when they’re dynamic. Saving filters is fine and dandy, but entering a date filter of 03/13/16..03/19/16 for the current week (if we’re working in that week of 2016) and having it saved as a hard-coded filter has limited usefulness. When report filters are defined on saved reports, ReportPath recognizes the dates and provides the option to switch them to dynamic date filters. So, if you want to create a shortcut to an account schedule report for “Revenue Last Week” that will always show, well, revenue for last week, ReportPath has it covered. 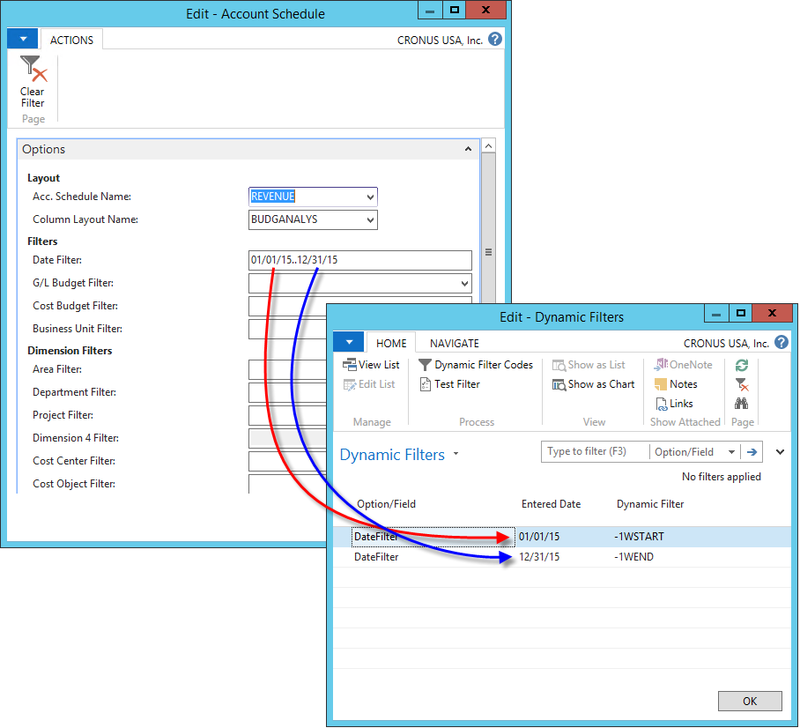 DynamicsPath is an ISV add-on provider for Microsoft Dynamics NAV. We leverage our extensive experience with NAV to create add-ons that simply make NAV better for all users. DynamicsPath add-ons provide exceptional functionality through high-quality design and development.